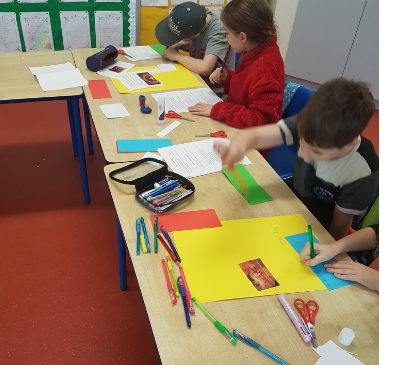 Fourth class were busy at project work again recently. but on this occasion the children carried out group projects in class. Their projects were based on the Stone Age people, and their artwork was inspired by Stone Age cave paintings!